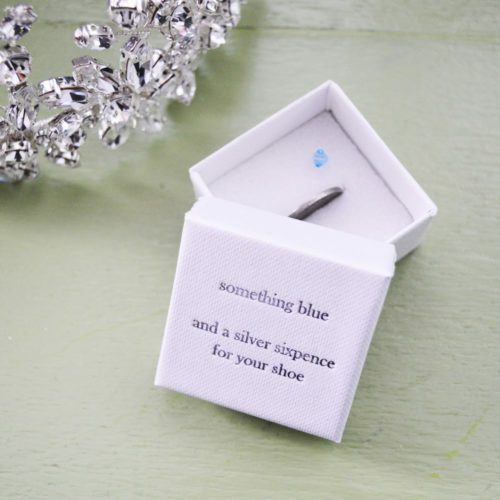 We ADORE this tiny box with the poem on – in blue no less which contains a genuine vintage sixpence. A perfect gift for the bride to be. Be the first to review “Silver Sixpence” Click here to cancel reply.